Former national football team coach Jorge Sampaoli says the Albiceleste were saddled with excessive expectations at the World Cup, stifling the performances of his players, including Lionel Messi. Argentina were tipped as possible winners of the tournament in Russia but were eliminated at the knockout phase following a tense 4-3 defeat to eventual champions France. Even before they squeezed into the second round, Argentina flattered to deceive, drawing 1-1 with Iceland, losing 3-0 to Croatia and squeezing past a plucky Nigeria 2-1 in the group stages. 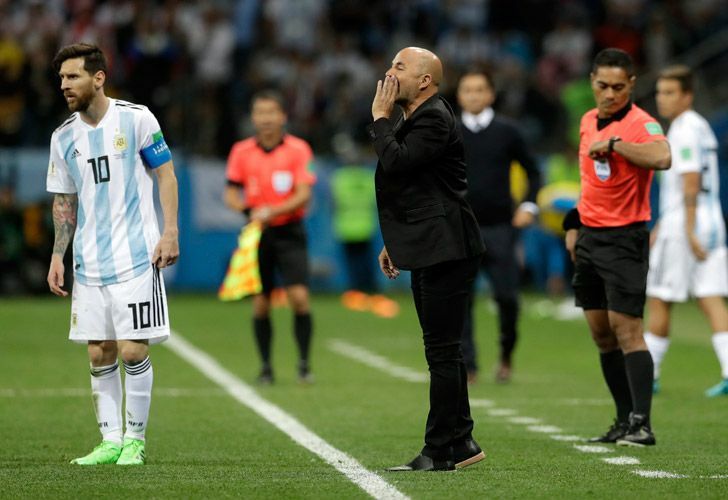 Sampaoli said expectations that Argentina would win the tournament emanating from the Argentine Football Association (AFA) stifled the creativity and success of Messi and his fellow players. "The best player in the world [Messi] was devoted" to the Argentina cause, Sampaoli said in comments to Spanish sports daily Marca. "At his club [Barcelona] he has great stability. But when he comes to the national team a collective hysteria takes over and it's like we're expected to win. "This is not possible. If we don't win, it's him [Messi] who cops all the criticism. So you can't play, and you can't enjoy it." He added: "The weight of expectation on this team was too heavy. We all felt pushed by the obligation to win, which meant it was difficult for us to express our talents. It was difficult to work in those conditions because there was only one available option: to be world champions. Putting that kind of obligation ahead of the match itself made everything much more complicated." AFA have appointed Lionel Scaloni, their former under-20 coach, as interim coach. Sampaoli, 58, offered him some advice: "We need to find a balance so that this obligation to win doesn't generate even more anxiety. Every match [at the World Cup] was a sufferance." Messi's future with the national side has been in doubt since Argentina's elimination. According to reports, the five-time Ballon d'Or winner asked not to be considered for selection for a series of friendlies in September and October.